When supplying and installing water heaters in Panama City, Florida, many customers ask us if they are buying the correct size water heater. Sizing your new water heater correctly is important for the comfort of your family. 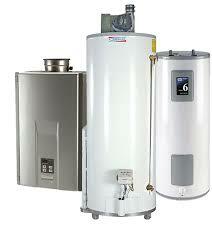 A correctly sized hot water heater will meet the needs of your household and operate efficiently to keep costs down. Before you invest in a water heater, know what your size requirements are. Each system is different so, if you are installing a tankless water heater, it will have different size requirements versus a solar heating system or a storage and heat pump with tank system. Tankless water heater installation is a popular choice these days for the cost and space saving benefits. These types of water heaters are rated according to the maximum temperature that it can reach at various flow rates. To determine the correct size, you need to establish the flow rate and the temperature rise you will need in your home. Make a list of the number of hot water devices you use in the home. Add up their flow rates in gallons per minute. This is the flow rate that you will need per minute in total to deliver your household needs. Deduct the incoming water temperature from the needed output temperature. This number represents what you will need the unit to produce in terms of temperature. The tank water heater’s “first-hour rating” is what you need to look at to properly size your tank water heater. This is how much water the heater will heat in an hour. Most tank heaters have a label stating their first-hour rating. To determine what your water demand is in gallons at peak hours during the day, talk with a water heater professional who can assist with the various calculations. At Hot Water Now, we assist you with selecting the correct size water heater and with the installation of the water heater in your home. Every home has unique needs so it’s important to calculate heater tank sizes according to those needs. For more advice and to learn more about our range of water heaters, contact us at Hot Water Now or look at our FAQ page.